Our radio show is back and we're excited to be part of this mission. Why do Catholics believe in a pope? Why do Catholics believe in saints? Why do Catholics have the Seven Sacraments? Why do Catholics call a priest 'father'? If you have heard folks ask these questions, or have asked them yourself, then you've come to the right place! 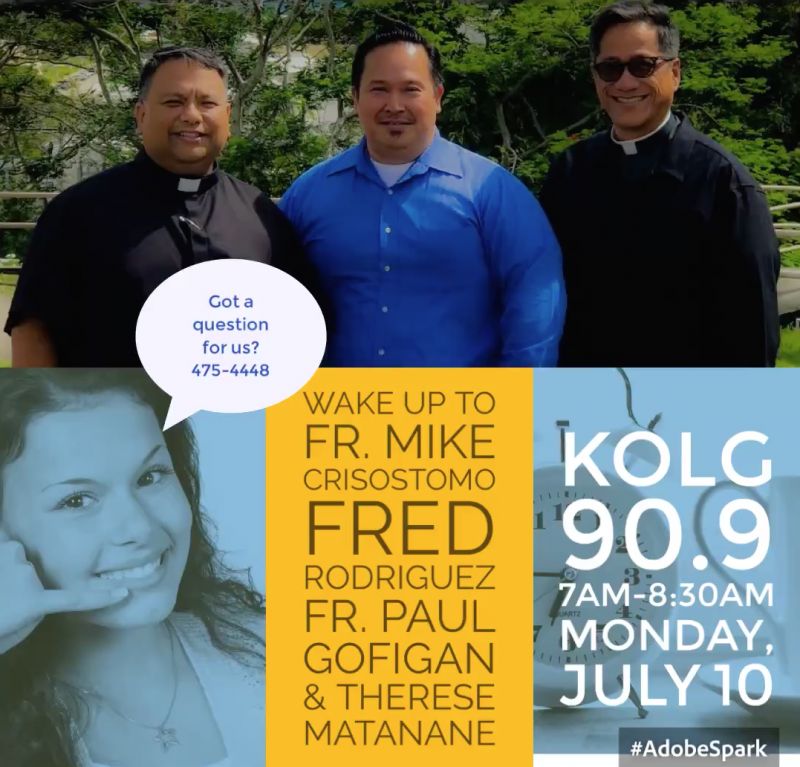 Welcome to Guam's only morning Catholic Talk Show and website "Why Do Catholics Do That?" Here you will find a bit about the show's mission and philosophy as well as information providing you with links and resources for those who ask the question, Why Do Catholics Do That? This site will continue to grow and will contain more content in the near future. So stop by our page as often as you like! You can listen to us live on Monday, Wednesday and Friday mornings on KOLG Light of the Marianas, 90.9 FM in Agana from 7:00 AM to 8:30 AM. This is your radio program and it provides you the opportunity to call us with your comment or question about your Catholic faith. 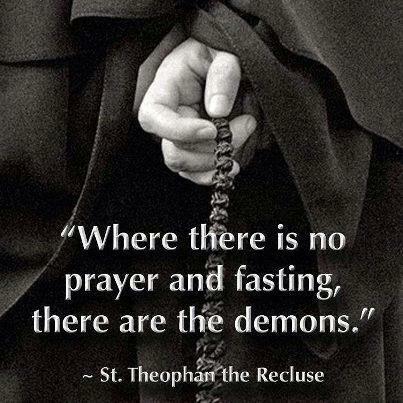 "Why Do Catholics Do That?" serves to meet Catholics islandwide through the social media. We serve as a resource in efforts to catechize and evangelize so as to keep and promote the teachings of the magisterium of the Catholic Church. We are also the same faces in Guam's only local Catholic program, "Catholics On The Move". 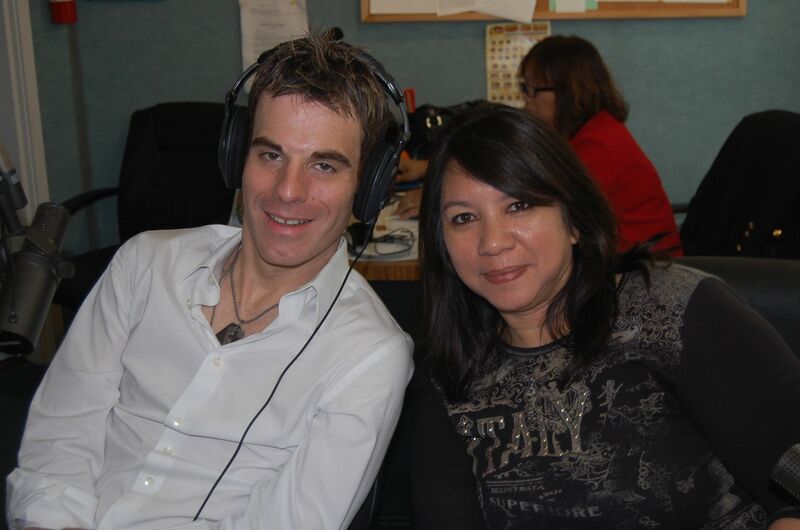 Barry Russo of Saint Peter's Parish in Rhode Island and Therese Arroyo-Matanane during a radio break on Guam. Take a look at some of our pages for further information and reading. Tune in to GTA's GuDTV on GreenLight Channel 25 for Guam's only Catholic Television show, "Catholics On The Move." Enjoy three new Catholic programs: Alive In The Spirit, Our Catholic Family and Get Connected.